Tourism is a weighty field of consumption and a powerful service sector that contributes about ten percent to the world’s GDP. Sustainable consumption and production patterns are central to sustainable tourism. Goal 12 contains an explicit target on tourism under 12.b: "Develop and implement tools to monitor sustainable development impacts for sustainable tourism that creates jobs and promotes local culture and products". This kind of monitoring, however, cannot be restricted to tourism development in the destinations alone. Goal 12 is highly charged and at the same time groundbreaking, as it also holds source markets accountable, including tourists as well as tourism organisers in both traditional and newly emerging tourist sending countries, and in destinations. Developing tools to monitor tourism with regard to its impacts on sustainable development is certainly an important step. However, this requires more far-reaching criteria and indicators than have usually been used in evaluations for example the contribution of tourism to the Gross National Product, or the number of newly created jobs in a destination. Rather, tourism must be measured against an improved quality of life and better development perspectives of the people who are to benefit from sustainable development through tourism. For this purpose, Goal 12 provides a new frame of action which not only includes developing suitable tools to monitor tourism at the local level, but also tangible measures in the source markets and ‘places of production’ in tourism, i.e. in the destinations. There are many studies on the impacts of tourism, most of which focus on local effects in the sense of “best practice“ for tourism businesses. They only marginally – if at all – include broader impacts on communities. There are not many comprehensive risk and impact assessments with regard to sustainable development and respect for human rights that would effectively do justice to the realities of people in tourism destinations. Myanmar is a country in transition from a dictatorship to a democracy and is experiencing a major tourism boom. Starting from the political, economic, social and cultural conditions, the Myanmar Centre for Responsible Business in cooperation with the Institute of Human Rights and Business and the Danish Institute of Human Rights 2015 developed a groundbreaking Sector-Wide Impact Assessment (SWIA) for the emerging tourism industry. At its core, there are analyses and demands by communities and civil society organisations addressed to the government and the tourism industry with regard to how to protect the rights of local and indigenous communities in the booming tourism sector. 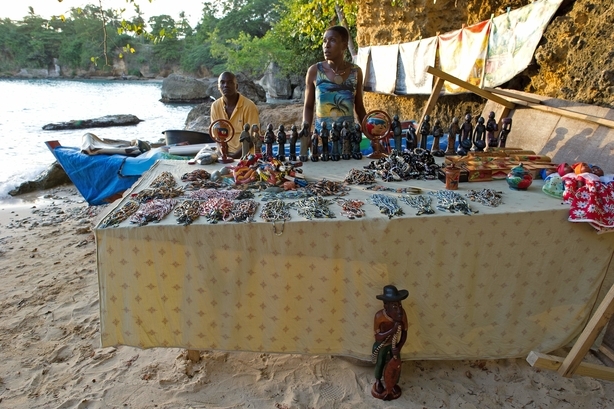 How the tourism industry can gain illuminating insights from its own business data and the consideration of partners along the value chain – including local communities and civil society organisations – has been demonstrated by the Corporate Responsibility Department of Kuoni Group in its Human Rights Impact Assessments (HRIA) in Kenya in 2012 and in India in 2013. The active approach by tourism enterprises in balanced multi-stakeholder processes is a constructive way to meaningfully measure impacts. Monitoring the impacts of tourism for a sustainable development that also provides future perspectives for people in the destinations remains a major challenge. In both source markets and destinations, the public sector has a special responsibility to encourage responsible consumer behaviour of tourists and at the same time to provide targeted guidance for tourism service providers, be it traditional tour operators or online travel agents (OTA), to ‘produce’ sustainably. The tourists are also responsible, as well as the businesses, since sustainable consumption patterns are closely interlinked with sustainable production. In Germany – traditionally a strong source market – a new representative survey has shown that 61 percent of those interviewed said they would like to make their holiday sustainable, but only two percent actually turn their good intentions into practice. The barriers mentioned mainly include concerns about possible extra costs and a lack of suitable products. In European source markets, tourists increasingly want to know what is behind a tourism product or service. But awareness alone is obviously not sufficient for tourists interested in sustainability to actually also act accordingly. Sustainable consumption is one aspect of a sustainable way of living. Such a way of living stems from the awareness that each individual should not consume more resources than are (on average) available to everyone else, respecting the earth’s capacities to regenerate. The trips undertaken by a privileged minority that disproportionately contribute to climate warming, that consume enormous amounts of resources, destroy the environment, and promote social inequality are in contradiction to a sustainable way of living. Sustainable consumption starts in everyday life. One foundation is the concept of a “good life” which places the focus on satisfying human needs for relationships, positive emotions, commitment and the achievement of goals in a meaningful context. Those who are content in their daily lives may need to compensate less during travel. The concept of sufficiency is key – the attempt to become increasingly independent from material resources when satisfying needs. This also includes deceleration: renegotiating the relationship between “here and there”, between work and leisure. Other concepts include fairness, environmentally friendly behaviour and strategic purchases – from climate offsetting and sustainable travel products to souvenirs. A change of social values is the foundation for such concepts to take root among the general public. Supported by public funding, different organisations – NGOs, educational institutions and businesses – can bring about this change of values through their efforts. Learning to evaluate different life styles and developing competencies to take action is an important objective of school and out-of-school education for sustainable development . In tourism training, these skills need to be expanded to include knowledge of best practice approaches to sustainability. The tourism sector has been focusing on positive emotions and hedonistic needs. If the marketing of tourism products included information on how they contribute to satisfying needs of a good life and integrate mindfulness and action in solidarity, this would be a contribution to such a change of values (>> Goal 4). Interventions to promote sustainable travel behaviour go beyond information and appeals: they accompany and support tourists across different phases: While pondering over a decision, tourists needs different options and examples; in the planning phase they need tangible decision-making support; in the implementation phase they need guidance to overcome internal (psychological) and external (political, family-related, financial) barriers, and in the evaluation phase they need possibilities to assess the sustainability of their own behaviour. Possible distribution channels for such tools and offers include both new media and traditional travel agents. At the same time, all the barriers that prevent sustainable decisions must be overcome. In target 12.c, the 2030 Agenda especially mentions phasing out subsidies which cause counterproductive market distortions and undermine sustainable development. This includes tax exemptions for aviation as well as the generous availability of resources and infrastructure for tourism at the cost of tax payers in the destinations. All of these boost cheap travel. These subsidies, which are often hidden, need to be abolished, cost transparency needs to be improved and true costs need to be reflected. These are essential steps to ensure that knowledge and awareness will actually lead to responsible action – also in tourism. The task of tourism enterprises to offer sustainable products and to present them in a credible and transparent manner (= sustainable production) is strongly linked to the development of sustainable holiday and leisure behaviour (= sustainable consumption). For a tourism product to be classified as “sustainable“, it is essential to examine the entire value chain. At first sight, this is a challenge, as a tourism product consists of various elements. But especially as this is so, there are many ‘adjusting screws’ that companies can use to exert positive influence. There is a diversity of players in the tourism sector. Hotels, tour operators, travel agents or destinations do not only differ in regard to their respective size and focus, but also have different characteristics based on their location. Nevertheless, there are basic aspects that apply to every business. A sustainable tourism product is economically just, environmentally friendly and socially responsible at the same time – for travellers and above all for the people in the destinations. For tourism businesses, it should be economically viable in the long run. At the same time, it should not be produced at the costs of others. Eventually, it should contribute to sustainable development in the destination. Tourism is a resource intensive economy – especially with regard to water, energy and food. Therefore, the targets of Goal 12 of the 2030 Agenda – i.e. avoiding waste generation and stopping food waste – especially apply to tourism enterprises. Transportation and mobility, especially the question how tourists get to the destination: If it is a short-haul trip, flights should be avoided; long-haul flights require conscious decisions as well as offsetting of greenhouse gas emissions. Service providers who offer sustainable tourism products support these decisions by designing their products accordingly and by offering integrated offsetting mechanisms (>> Goal 9, >> Goal 13). Service providers and partners: Tour operators should cooperate with local producers and service providers to strengthen the local economy and to create fair and secure jobs in the destinations (>> Goal 8). A large part of the profit must be retained in the region (>> Goal 1). Labour standards, climate protection and the responsible use of natural resources in accommodation and incoming agencies as well as the respect for the human rights of everybody involved are central elements of a sustainable tourism value chain. Tourism managers must be aware of the problems in the destinations and must address them in a sensitive manner with full respect of the rights of the indigenous population. This includes problems such as water scarcity, limited access to clean drinking water (>> Goal 6), or health care for the local population (>> Goal 3). Activities in the destinations: Tourist activities in the destinations must be analysed in a detailed manner. Negative impacts on ecosystems must be prevented (>> Goal 14, >> Goal 15). Tourist activities can be designed to encourage encounters with local and indigenous communities, but must be carefully planned and cultural characteristics must be respected. As a matter of principle, it is important that local residents are involved in decision-making processes for tourism projects and that the region benefits from tourism. That means to foster the local economy by hiring local employees, by integrating local products into the complete touristic value chain or to support local initiatives. Targeted measures must be taken to prevent tourism from encouraging child labour, corruption, and prostitution. A detailed breakdown of the different players and levels of intervention may look overwhelming at first. However, when companies are in the process of introducing sustainable products and examining their business practices, certification can accompany these processes in a qualified manner. Certification offers companies an opportunity to publicly position themselves. Labels offer orientation when tourists are in the process of deciding to buy a sustainable tourism product. Certification should be based on a holistic approach. It should equally consider ecological, social and economic aspects and should address the entire touristic value chain. One label that is based on such an approach is the one issued by TourCert, a non-profit organisation for certification and consultancy in tourism. It is awarded and used internationally. The TourCert set of criteria is officially recognised by the Global Sustainability Tourism Council (GSTC). Other qualitative characteristics of the label include the fact that the criteria applied are openly accessible. It is being made transparent what the evaluation is based on. Independent auditors regularly check the information on location. Companies assure that they will keep improving their sustainability performance. Policies have to be targeted at making the tourism sector sustainable. Taking the 2030 Agenda seriously, non-sustainable business activities in tourism can simply not be tolerated anymore. Clear political regulations are indispensable. These regulations include among others human rights due diligence, reporting obligations, transparency requirements, the disclosure of the climate footprint of enterprises, and clear regulations on how to deal with scarce resources like water, food, and energy. They have to ensure that labour standards – also for children – as well as national and international rights (with regard to corruption, prostitution) are respected. They need to include access to legal remedies and the participation of local population in decision-making processes. In order to ensure that the regulations are binding, control mechanisms and sanctions for non-compliance have to be implemented. In target 12.6, the 2030 Agenda wants to "encourage companies to adopt sustainable practices". Corporate social and environmental responsibility is also in the interest of tourism enterprises. Tourism products and services need to be designed in a manner that is mindful of the environment and social settings. They need to be of good quality and ensure a future for the tourism sector which relies on ‘unspoilt’ landscapes and cultures. Responsible tourism that considers aspects such as human rights, ecological sustainability, fair trade relations and the participation of the local population in the value chain does not only meet the growing demand for socially and environmentally responsible travel, but can also set benchmarks and contribute to a globally sustainable development. Forschungsgemeinschaft Urlaub und Reisen e.V. (FUR) (2014): Abschlussbericht zum Forschungsvorhaben: Nachfrage für Nachhaltigen Tourismus im Rahmen der Reiseanalyse. Kiel.